Have you ever noticed one of the first things to drop off the to-do list when life gets crazy is taking care of ourselves? Do you ever think, “I would love to live a healthier lifestyle! To eat better and exercise more. But there just isn’t enough time in the day!” Sometimes self care can even hold feelings of guilt when we have so many other things demanding our attention. When we do have the time it can sometimes be hard to get motivated to make the changes we want in our lives. I’m telling you now. Self care isn’t selfish, it is essential. Here is the thing. Life can feel busy and crazy and overwhelming at times BUT we only get one shot at this. One chance to go through this life and one body to experience it with. What kind of life do you want to lead? I want to help you get there. 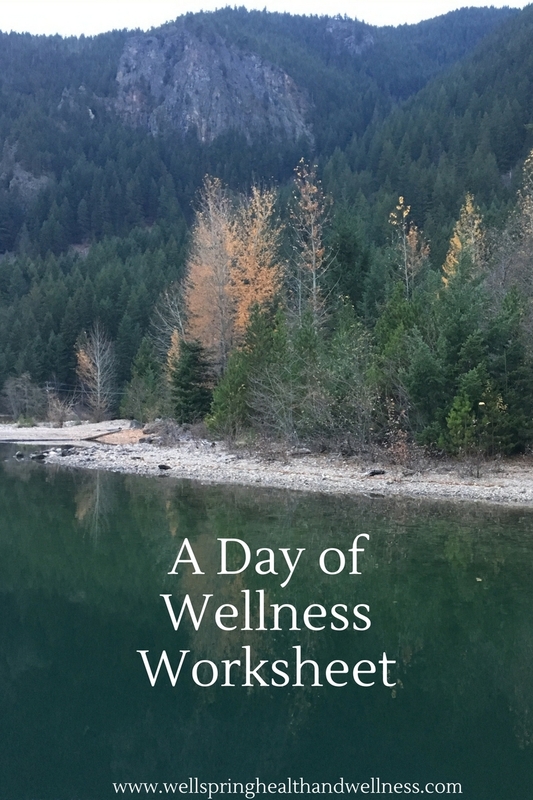 I want to help you tap into your internal wellspring – that source of continual supply – to find the motivation and inspiration to live a healthy, happy life. Wellspring women know that when we make ourselves a priority everyone around us benefits. We know that when we take care of our bodies, minds, and souls we feel better, we think better, we love better. We show up in the world with more positivity. We are not always perfect, but we are committed to self-growth. Join the conversation as we talk about about eating real whole foods, exercise, how to rest and recharge, manage stress, focus on the positive, experience and express gratitude, and how to make time and space for self care and all of the other the things we love. Sign up for my newsletter to stay up to date on Wellspring offerings and for more tips, tricks and inspiration for leading a healthy, happy life!